AS if he was responding to President Mugabe’s call for a second revolution to fully emancipate the majority of the black South African residents and citizens, President Jacob Zuma on Tuesday, 26 May 2015, during his budget vote in the National Assembly, insisted that his country has a good story to tell and that it is doing well despite the challenges that it faces. Zuma said that South Africa continued to make progress in the fight against crime, in promoting inclusive economic growth as well as in creating jobs. With respect to Zimbabwe, after more than 35 years of independence, there appears to be no single economic indicator that supports the proposition advanced by President Mugabe that the first post-colonial revolution has delivered the promise of independence. Although many may dispute the bold assertion by President Zuma that: “I am sure we can now all agree that indeed, South Africa has a good story to tell,” there can be no doubt that no rational explanation has been proffered by the authorities in Harare to respond to the allegation by President Zuma that the uncontrolled migration of Zimbabweans represents a vote of no confidence in the ability of their country under the watch of President Mugabe to deliver the promise of a better and secure life. Both Mugabe and Zuma are and should equally be concerned about the direction their economies are heading and more significantly to locate the true reasons why sovereign Zimbabwean nationals would seek to cross the border to a country that is purportedly under the control of white-monopoly capital. During a press conference in Gaborone on 20 May 2015, Mugabe asserted that South Africa needs help to get full liberation. Although Mugabe has the tendency and habit to blame colonialism, neo-colonialism and imperialism for the triple challenges that confront many African post-colonial states, he made the point that other Africans should not be blamed for the unemployment problems in South Africa. Notwithstanding, it is also the view widely expressed in South Africa that the word “foreigner” should not be limited to whites but be generalised to all black Africans who have made it a habit to encroach into the domain of other African states for greener pastures. President Mugabe expects all Zimbabweans and South Africans alike to see in their mirrors not only the ghosts of colonialism but the faces of foreign whites whom he blames for monopolizing employment opportunities. He holds the view that this must be addressed before the blame can be allocated to foreigners in South Africa. He also made the point that it is going to be difficult for the South African government to address the issue of unemployment when the same whites who oppressed blacks are still in control of the economy. Now turning to the issue of Zimbabwe’s post-telecommunications experience, it cannot be denied that there is a story to tell. This story is pregnant with lessons that even President Mugabe in the quietness of his time is compelled to take note of. The above brief narrative exposes the fact that President Mugabe believes, without any regard to objective facts revealed during his long tenure, in the power of the state and its actors to change the quality of life of citizens. President Mugabe, by borrowing God’s powers in the act of allocating a resource that he and his government played no part in creating, land, it is self-evident that he believes that land redistribution in and out of itself can ameliorate poverty and all the ills that have visited the common man over the last 35 years that he has been presiding over the state. The relationship between government and land is a subject that needs a different interrogation but what is important is that we critically examine the validity of the assertion that conferring rights to citizens in relation to things of economic value creates value that can be tradable. 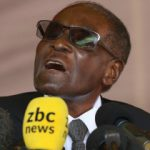 In the case of the telecommunications story, it is not in dispute that President Mugabe was at the forefront of a struggle to limit democracy in the airwaves. The limited democracy that Zimbabweans now enjoy in the industry was a consequence of struggles that occupied the time of judges. Such experiences would hardly have been necessary if President Mugabe correctly understood the role of the state in building an inclusive and prosperous dispensation. It is never a correct approach to hold the view that the poor need the protection of well-fed state actors. Poverty can best be addressed where less government intervention is the norm. One should critically examine the role of the state in the evolution, development and maturity of the mobile network industry to establish the true drivers of the industry’s growth and viability. In the struggle against colonialism, the principle of self-determination pre-eminent and the very same principle is and was at the core of the dispute in which the state and its actors held the view that allowing private sector actors to provide mobile telecommunications products and solutions was not in the national and public interest. 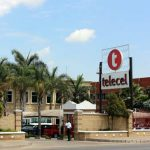 Notwithstanding the views of state actors, the judiciary was forced to intervene to resolve this ideological problem resulting in the initial licensing of three network operators. Indeed, we can all look back and compare what was and what is now. The primary purpose of any business is to serve the consumer and before the painful introduction of telephone democracy, the only provider of telephone connections was the state-controlled, Posts and Telecommunications Corporation of Zimbabwe Limited (“PTC”). It is not in dispute that Zimbabwe now has more than 13 million mobile connections for a population of about 13 million, translating into a penetration rate of 100%. 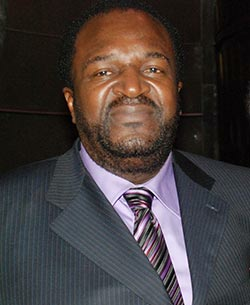 In any normal country, the leadership of the three networks would be regarded as heroes in a country with a few black role models but alas in post-colonial Zimbabwe, both Masiyiwa, the driving forces behind Econet, the largest network, and Makamba, the driving force behind TZ, find themselves outside the borders of Zimbabwe. To President Mugabe, the two gentlemen have voluntarily chosen to be outside the borders of Zimbabwe yet the reality suggests otherwise. Makamba spent more than 6 months in remand prison for a crime he did not commit. Every time Masiyiwa is recognized for this or that achievement, the story of his home country necessarily comes to the fore. Is it not ironic that Makamba is a trustee of a foundation started by one of President Zuma’s wives, Madam Bongi Ngema, http://bnzfoundation.org.za/?page_id=48, yet he has been in exile for the last 10 years? Is it possible that President Zuma may know better than what President Mugabe credits him for especially as to the true situation obtaining in Zimbabwe that would lead both Makamba and Masiyiwa to be outside the country? If President Zuma knows either through one of his wives or from state intelligence, the question is why has it not been possible for him to honestly and candidly communicate with President Mugabe that the market is not stupid? The people who daily vote with their feet know better that if under the control of President Mugabe, it can be business as usual for eminent indigenous persons to be excluded from participating in the struggle to deliver the promise, then who can be possibly safe? It can never be acceptable to talk about black economic empowerment in the abstract. Any forward leaning leader would embrace any progress made towards making the lives of the majority a convenient experience. 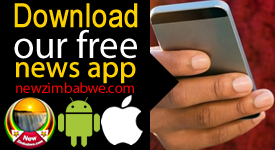 The telecommunications industry has done a lot in connecting Zimbabweans and in so doing make information a commodity to be used to make choices. Independence was about giving citizens and not state actors’ choices and this has been partly accomplished by the market system that has seen Econet lead the pack. 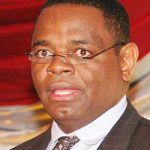 The failure of Netone to assume the leadership role is instructive and lessons should be learnt. It is often easy to conclude that President Mugabe is an actor who chooses to bury himself in the sand of ignorance. However, it would be too simplistic to assume that the head of a human being is capable of absorbing all the narratives available. Only the people with access to the leader often have the ability of shaping the character and personality of the leader. President Mugabe was a free man in 1979 and since then his mind has been worked on by paid state actors. It may be the case that President Mugabe has no real issues with both Makamba and Masiyiwa but his system has because they both can in a small way expose the fault lines of an idea that is oblivious of the role of post-colonial state actors in undermining democracy and prosperity. 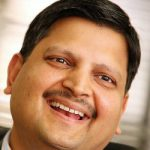 SA under Zuma: Are the Guptas in charge?